« Can Landscaping Help Boost Your Curb Appeal? Have you heard about Colony Collapse Disorder? This is a disease that is contributing to the loss of bee colonies all over the country. There have been record losses for bee populations since 1990, but how can you help the little bees return to their former glory? Well, we’ve got some tips on how you can help to restore bee populations in your area. Ready to check them out? Let’s do it! Help the bees with pollen. When you’re planning your garden, think about choosing flowers that produce plenty of nectar for your bee populations. This could mean flowers that have single tops like daises or marigolds. These types of flowers will allow the bees to have an easier access to the pollen they need. You should also choose native flowers. The bees in your area have adapted to the native flower populations of your region, so planting natives is going to work with the bees. Black-eyed Susans are a great fit! They’re native to Maryland and they look beautiful. There are also a variety of helpful plants that specifically help bees get what they need. 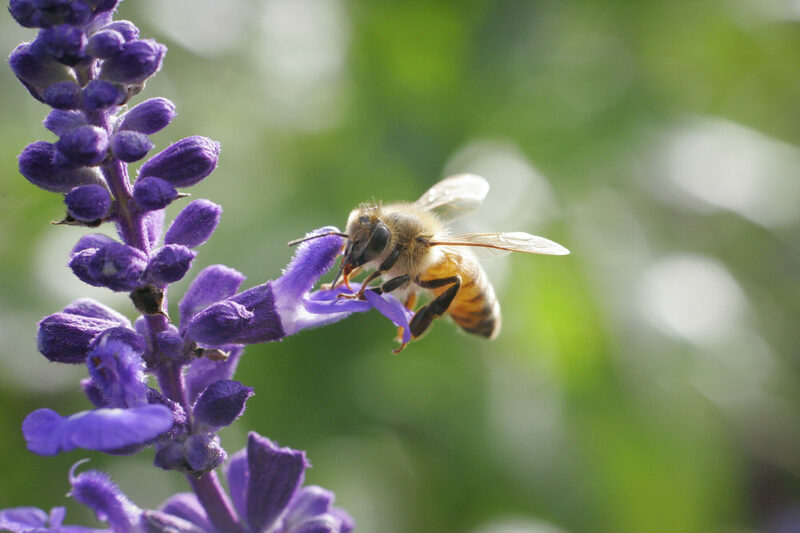 Lavender, sage, oregano, and rosemary are all great for bees. All of these herbs are also easy to install in a little herb garden. You can also plant catnip, which is great for deterring mosquitoes as well. Keep the chemicals out of it. When you maintain your garden and lawn, you may want to add some pesticides or other chemicals to your routine. Do not do this! Bee populations can often be devastated by these harmful chemicals. You can maintain a beautiful landscape without harmful chemicals, so try to avoid them when you can. Ready to get planting so you can help the bees? This entry was posted on Monday, May 11th, 2015	at 1:39 am	and is filed under Landscaping Design	. You can follow any responses to this entry through the RSS 2.0	feed. Both comments and pings are currently closed.